Eating out is part of your vacation. We help you find the best restaurants of Amsterdam. There are many different restaurants to choose from. Eating on a budget, romantic on the sides of the canals, in a small establishment in one of the narrow streets or real upscale.....everything is possible. Let it surprise you and be surprised! Since Amsterdam is a very multi-cultural city you can find restaurants and tastes here from all over the world. In my family they always said: "eating is a celebration", so for me eating is an important part of my day and especially during vacation something to enjoy. All the varieties you can find here.....WOW Enjoy and don't be afraid to try something new and unknown. We will give you a list of Amsterdam restaurant reviews divided by neighborhood and money-wise. Eating out on a budget in Amsterdam is really easy. For a quick snack out of the hand you don't have to look far. On the streets you can find many take-away places that sell sandwiches and French fries. The famous thick-cut Belgium Fries are served into a cone shaped paper bag, and they put a lot of whatever sauce you like. Not really healthy, but I love it. Or decide to try the traditional Dutch snack: raw herring! 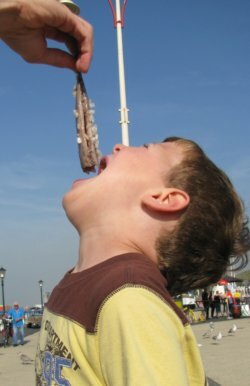 Take the herring by its tail, dip it into the raw unions and slide it down your throat. Looks and sound strange.....but really yummy! Look at the photo....5 years old and he really loves it! On a budget restaurants in Amsterdam can be found at a bar, cafe or tea/coffee-house, they serve pretty good, decent meals. You can eat inside at the tables or sometimes outside on the terraces. Make sure you don't hop in too late at night, because the bars close the kitchen pretty early to transform into a "nightlife" bar and the Dutch are used to eat early. A healthy choice of wonderfully prepared sandwiches, soups and quiches. This cozy tea house/bakery offers a good, hearty lunch. Locations: Zeedijk 37, Roelof Hartstraat 68 and Polonceaukade 1. Nice place for a traditional Dutch lunch menu with Omelettes, Pancakes and sandwiches. But also a perfect stop to have home-made pies and coffee while enjoying the view over the Prinsengracht. A nice, small Indian restaurant, where you can eat all kind of curries, although less hot than expected and a lot of vegetarian choices. A relaxed family friendly restaurant. 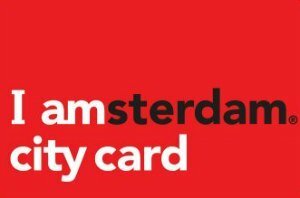 Moderate priced restaurants in Amsterdam make you feel you are really out for diner, but you don't have to worry about a dress code, because there is none. Just good food in an romantic, cozy or friendly ambiance. These are mostly real restaurants and not bars or coffeehouses. The buildings are situated at nice locations, often in traditional Dutch buildings with beautiful views. Making a reservation is a good idea, especially in the weekends. Loved by the locals! In the heart of the city you can find this restaurant situated in six epic buildings and with great architectural features saved on the outside, but also on the inside. Enjoy the ambiance while having a casual lunch or diner here. This restaurant also serves a great selection of traditional Dutch food. This restaurant calls itself a culinary museum. 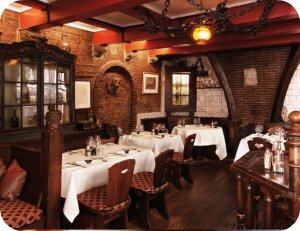 You can eat here in an atmosphere of the 17th century, with 4 original etchings of Rembrandt on the walls. The food is not very special, but the service is good and friendly. Ever had your lunch or diner on a Ukrainian Trading Vessel? This boat has been revamped to make it into a trendy restaurant/party boat. You can eat food from all over the world on the deck, drink a cocktail on the midfloor and dance the night away in the ships hold. If you really have to celebrate something, this is the choice. Go fancy, dress up a little, make a reservation and let the chef surprise you! Nicely decorated, good furniture, good and friendly waitresses and a cozy ambiance is waiting for you. 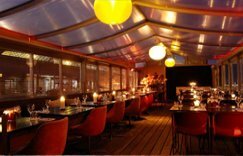 Take a good look around, because these are the restaurants of Amsterdam where the celebrities are going to. This restaurant has famous Michelin stars. If offers excellent French cuisine in an less formal way. You will feel like royalty enjoying the perfect meal. This is a place where you can enjoy the finest food in a relaxed way. They have great wines and a good kitchen that offers French food. A real restaurant with a formal dress code perfectly situated with a nice view over the river, makes this your perfect, special romantic evening. Here you can try all kind of delicacies and one of a kind food. Perfectly prepared and served. Of course you can make a phone call to the restaurant in Amsterdam of your choice, but there is also an excellent website where you can make your restaurant reservation online. Convenient and direct. The site is called Seatme and has 212 restaurants in Amsterdam to make your reservation. Just choose a restaurant, time and number of persons, fill in your name, phone number and email address and that's it! The site is very practical and easy to use. You get instant information about the price, kind of kitchen and if gives you a map where to find it. Also you can read an Amsterdam restaurant review of most of the restaurants mentioned on Seatme. Make your Amsterdam restaurant reservation and read the reviews here: Seatme.